The Battle of Jutland was described by Rudyard Kipling in his series of reports in the London Daily Telegraph, October 19, 23, 26, 31,1916, passim. Note that Kipling, for reasons of security, used fictitious names for the destroyers. When the German fleet ran for home, on the night of May 31, it seems to have scattered -- "starred " I believe, is the word for the evolution -- in a general sauve qui peut, while the Devil, lively represented by our destroyers, took the hindmost. Our flotillas were strung out far and wide on this job. One man compared it to hounds hunting half a hundred separate foxes. Towards midnight our destroyers were overtaken by several three- and four-funnel German ships (cruisers, they thought) hurrying home. At this stage of the game anybody might have been anybody -- pursuer or pursued. The Germans took no chances, but switched on their searchlights and opened fire on Gehenna. Her Acting Sublieutenant reports: "A salvo hit us forward. I opened fire with the afterguns. A shell then struck us in a steampipe, and I could see nothing but steam. But both starboard torpedoes were fired." Eblis, Gehenna's next astern, at once fired a torpedo at the second ship in the German line, a four-funneled cruiser and hit her between the second funnel and the mainmast, when "she appeared to catch fire fore and aft simultaneously, heeled right over to starboard, and undoubtedly sank." Eblis loosed off a second torpedo and turned aside to reload, firing at the same time to distract the enemy's attention from Gehenna, who was now ablaze fore and aft. Gehenna's Acting Sublieutenant (the only executive officer who survived) says that by the time the steam from the broken pipe cleared he found Gehenna stopped, nearly everybody amidships killed or wounded, the cartridge boxes round the guns exploding one after the other as the fires took hold, and the enemy not to be seen. Three minutes or less did all that damage. After all that Eblis picked herself up, and discovered that she was still alive, with a dog's chance of getting to port. But she did not bank on it. That grand slam had wrecked the bridge, pinning the commander under the wreckage. By the time he had extricated himself he "considered it advisable to throw overboard the steel chest and dispatch box of confidential and secret books." [These] are never allowed to fall into strange hands, and their proper disposal is the last step but one in the ritual of the burial service of His Majesty's ships at sea. Gehenna, afire and sinking, out somewhere in the dark, was going through it on her own account. This is her Acting Sublieutenant's report: "The confidential books were got up. The First Lieutenant gave the order: 'Every man aft,' and the confidential books were thrown overboard. The ship soon afterwards heeled over to starboard and the bows went under. The First Lieutenant gave the order: 'Everybody for themselves.' The ship sank in about a minute, the stern going straight up into the air." But it was not written in the Book of Fate that stripped and battered Eblis should die that night as Gehenna died. After the burial of the books it was found that the several fires on her were manageable, that she "was not making water aft of the damage," which meant two thirds of her were, more or less, in commission, and, best of all, that three boilers were usable in spite of the cruiser's shells. So she "shaped course and speed to make the least water and the most progress towards land." On the way back the wind shifted eight points without warning -- and, what with one thing and another, Eblis was unable to make any port till the scandalously late hour of noon June 2, "the mutual ramming having occurred about 11:40 P.M. on May 31." She says, this time without any legal reservation whatever, "I cannot speak too highly of the courage, discipline, and devotion of the officers and ship's company." . . . In that flotilla alone there was every variety of fight, from the ordered attacks of squadrons under control, to single ship affairs, every turn of which depended on the second's decision of the men concerned; endurance to the hopeless end; bluff and cunning; reckless advance and redhot flight; clear vision and as much of blank bewilderment as the Senior Service permits its children to indulge in. That is not much. When a destroyer who has been dodging enemy torpedoes and gunfire in the dark realizes about midnight that she is "following a strange British flotilla, having lost sight of my own," she "decides to remain with them," and shares their fortunes and whatever language is going. If lost hounds could speak when they cast up next day, after an unchecked night among the wild life of the dark, they would talk much as our destroyers do. I have been intending to write and tell you all about the 31st, but couldn't find your address and could only remember the number. I'm so awfully sorry you weren't in it. It was rather terrible but a wonderful experience, and I wouldn't have missed it for anything, but, by Jove! it is not a thing one wants to make a habit of. I must say it's very different from what I expected. I expected to be excited but was not a bit; it's hard to express what we did feel like, but you know the sort of feeling one has when one goes in to bat at cricket and rather a lot depends upon you doing well and you're waiting for the first ball; well, it's very much the same as that-do you know what I mean? A sort of tense feeling waiting for the unknown to happen, and not quite knowing what to expect; one does not feel the slightest bit frightened, and the idea that there's a chance of you and your ship being scuppered does not really enter one's head-there are too many other things to think about. This ship is just about the latest thing in destroyers and we all transferred, officers and ship's company, from the Bearer here. We were attached to the battle-cruisers and were with them throughout the action, so we were probably in the thick of it, as no doubt you saw in the papers that the battle-cruisers stood the brunt of the action, and we were in action for about three hours before the battleships arrived upon the scene. To start with, it was all at such long range that the destroyers were rather out of it, except there were plenty of 15-inch falling round us, and we just watched. It really seemed rather like a battle practice on a large scale, and we could see the flashes of the German guns on the horizon. Then they ordered us to attack, so we bustled off at full bore. Being navigator, also having control of all the guns, I was on the bridge all the time and remained there for twelve hours without leaving it at all. When we got fairly close I sighted a good-looking Hun destroyer which I thought I'd like to strafe. You know, it's awful fun to know that you can blaze off at a real ship and do as much damage as you like. Well, I'd just got their range on the guns and we'd just fired one round when some more of our destroyers coming from the opposite direction got between us and the enemy and completely blanketed us, so we had to stop firing as the risk of hitting one of our own ships was too great - which was rather rot. Shortly afterwards they recalled us, so we bustled back again. How any destroyers got out of it is perfectly wonderful. Literally, there were hundreds of "progs" all round us from a 15-inch to a 4-inch, and you know what a big splash a 15-inch bursting in the water does make; we got soaked through by the spray. Just as we were getting back a whole salvo of big shells fell just in front of us and short of our big ships. The skipper and I did rapid calculations as to how long it would take them to reload, fire again, time of flight, etc., as we had to go right through the spot. We came to the conclusion that as they were short a bit they would probably go up a bit and didn't, but luckily they altered deflection and the next lot fell just astern of us. Anyhow, we managed to come out of that lot, without the ship or a soul on board being touched. It's extraordinary the amount of knocking about the big ships can stand. One saw them hit, and they seemed to be one mass of flames and smoke and you think they're gone, but when the smoke clears away they are apparently none the worse and still firing away. But to see a ship blow up is a terrible but wonderful sight; an enormous volume of flame and smoke about 200 feet high and great heaps of metal, etc., blown sky-high and then, when the smoke clears away, not a sign of the ship. We saw one rather extraordinary sight. Of course, you know the N.S. is very shallow. We came across a Hun cruiser absolutely on end. His stern on the bottom and his bow sticking up about 30 feet above the water, and a little further on a destroyer in precisely the same position. I wouldn't be certain, but I rather think I saw your old ship crashing along and blazing away, but I expect you have heard from some of your pals. But the night was far and away the worst time of all, and an awful strain. It was pitch dark and, of course, absolutely no lights; and the firing seems so much worse at night as you could see the flashes absolutely lighting up the sky, and it seemed to make much more noise, and you would see ships on fire and blowing up. Of course, we showed absolutely no lights. One expected to be surprised any minute - and eventually we were. We suddenly found ourselves within 1,000 yards of two or three big Hun cruisers. They switched on their searchlights and started firing like nothing on earth. Then they put their searchlights on us, but for some extraordinary reason did not fire on us. As, of course, we were going full speed, we'd lost them in a moment, but I must say that I, and I think everybody else, thought that was the end; but one does not feel afraid or panicky. I think I felt rather cooler then than at any other time. I asked lots of people afterwards what they felt like and they all said the same thing. It all happens in a few seconds, one hasn't got time to think, but never in all my life have I been so thankful to see daylight again - and I don't think I ever want to see another night like that - it's such an awful strain; one does not notice it at the time, but it's the reaction afterwards. I never noticed I was tired till I got back to harbour, and then we all turned in and absolutely slept like dogs. We were 72 hours with little or no sleep. The Skipper was perfectly wonderful - he never left the bridge for a minute for 24 hours and was either on the bridge or in the chart house the whole time we were out, and I've never seen anybody so cool and unruffled. He stood there sucking his pipe as if nothing out of the ordinary were happening. One quite forgot all about time. I was relieved at 4 a.m., and on looking at my watch found I had been up there nearly 12 hours, and then discovered I was rather hungry. I had my camera on the bridge the whole time and took several photographs when there was a chance, but all at rather long range and the light was not good, so I doubt if they will be good - especially as the Skipper tried to take one when I wasn't there, and not knowing anything about it took the front off instead of opening the hack. Luckily it was at the last film so I hope it hasn't spoilt the lot. If they do come out they should be rather interesting and I'll send you prints. Photograph courtesy of Photos of the Great War website. At 2.20 p.m. reports were received from Galatea, the light cruiser stationed on the eastward flanks, indicating the presence of enemy vessels. The direction of advance was immediately altered to S. S. E., the course for Horn Reef, so as to place my force between the enemy and his base. At 2.35 p.m, a considerable amount of smoke was sighted to the eastward. This made it clear that the enemy was to the northward and eastward and that it would be impossible for him to round the Horn Reef without being brought to action. Course was accordingly altered to eastward and northeastward, the enemy being sighted at 3.31 p.m. They appeared to be five battle cruisers. After the first report of the enemy the 1st and 3rd Light Cruiser Squadrons changed their direction and without waiting for orders spread to the east, thereby forming a screen in advance of the Battle Cruiser Squadrons and 5th Battle Squadron by the time we had hauled up to the course of approach. They engaged enemy light cruisers at long range. In the meantime the 2nd Light Cruiser Squadron had come in at high speed and was able to take station ahead of the battle cruisers by the time we turned E.S.E., the course on which we first engaged the enemy. In this respect the work of the light cruiser squadrons was excellent and of great value. From a report from Galatea at 2.25 p.m. it was evident that the enemy force was considerable and not merely an isolated unit of light cruisers, so at 2.45 p.m. I ordered Engadine to send up a seaplane and scout to N.N.E. At 3.08 p.m. a seaplane was well under way; her first reports of the enemy were received in Engadine about 3.30 p.m. Owing to clouds it was necessary to fly very low, and in order to identify four enemy light cruisers the plane had to fly at a height of 900 feet within 3,000 yards of them, the light cruisers opening fire on her with every gun that would bear. This in no way interfered with the clarity of reports, which indicate that seaplane under such circumstance are of distinct value. At 3.30 p. m. I increased speed to 25 knots and formed line of battle, the 2nd Battle Cruiser Squadron forming astern of the 1st Battle Cruiser Squadron, with destroyers of the 13th and 9th Flotillas taking station ahead. I turned to E.S.E., slightly converging on the enemy, who were not at a range of 3,000 yards, and formed the ships on a line of bearing to clear the smoke. The 5th Battle Squadron, who had conformed to our movements, were now bearing N.N.W., 10,000 yards. The visibility at this time was good, the sun behind us, and the wind S.E. Being between the enemy and his base, our situation was both tactically and strategically good. At 3.48 p.m. the action commenced at a range of 18,500 yards, both forces opening fire practically simultaneously. Course was altered to the southward, and subsequently the mean direction was S.W.E., the enemy steering a parallel course distant about 18,000 to 14,500 yards. It would appear that at this time we passed through a screen of enemy submarines. The destroyer Landrail of 9th Flotilla, who was on our port beam trying to take station ahead, sighted the periscope of a submarine on her port quarter. Though causing considerable inconvenience from smoke, the presence of Lydiard and Landrail undoubtedly preserved the battle cruisers from closer submarine attack. Nottingham also reported a submarine on the starboard beam. Eight destroyers of the 13th Flotilla, Nestor, Nomad, Nicator, Narborough, Pelican, Petard. Obdurate. Nerissa, with Moorsom and Morris of 10th Flotilla, Turbulent and Termagant of the 9th Flotilla, having been ordered to attack the enemy with torpedoes when opportunity offered, moved out at 4.15 p.m. simultaneously with a similar movement on the part of the enemy. The attack was carried out in the most gallant manner and with great determination. Before arriving at a favorable position to fire torpedoes, they intercepted an enemy force consisting of a light cruiser and 15 destroyers. A fierce engagement ensued at close quarters, with the result that the enemy was forced to retire on their battle cruisers, having lost two destroyers sunk, and having their torpedo attack frustrated. (Some torpedoes were fired by the enemy two of which crossed the track of the 5th Battle Squadron, which had been turned away to avoid the attacks.) Our destroyers sustained no loss in this engagement, but their attack on the enemy battle cruisers was rendered less effective owing to some of the destroyers having dropped astern during the fight. Their position was therefore unfavorable for torpedo attack. Nestor, Nomad and Nicator pressed home their attack on the battle cruisers and fired two torpedoes at them at a range of 6,000 and 5,000 yards, being subjected to a heavy fire from the enemy's secondary armament. Nomad was badly hit and apparently remained stopped between the lines. (She was sunk later by the German Battle Fleet.) Subsequently Nestor and Nicator altered course to the S.E., and in a short time the opposing battle cruisers having turned 16 points, found themselves within close range of a number of enemy battleships. Nothing daunted, though under a terrific fire, they stood on, and their position being favorable for torpedo attack, fired a torpedo at the second ship of the enemy line at a range of 3,000 yards. Before they could fire their fourth torpedo, Nestor was badly hit and swung to starboard, Nicator altering course inside her to avoid collision and thereby being prevented from firing the last torpedo. Nicator made good her escape and subsequently rejoined the 13th Flotilla. Nestor remained stopped, but was afloat when last seen. (She was sunk later by the German Battle Fleet.) Moorsom also carried out an attack on the enemy's Battle Fleet. Petard, Nerissa, Turbulent and Termagant also pressed home their attack on the enemy battle cruisers, firing torpedoes at 7,000 yards after the engagement with enemy destroyers Petard reports that all her torpedoes must have crossed the enemy's line, while Nerissa states that one torpedo appeared to strike the rear ship. These destroyer attacks were indicative of the spirit pervading His Majesty's Navy, and were worthy of its highest traditions. From 4.15 to 4.43 p.m. the conflict between the opposing battle cruisers was a very fierce and resolute character. The 5th Battle Squadron was engaging the enemy's rear ships, unfortunately at very long range. Our fire began to tell, the accuracy and rapidity of that of the enemy depreciating considerably. At 4.18 p.m. the third enemy ship was seen to be on fire. The visibility to the north-eastward had become considerably reduced and the outline of the ships very indistinct. At 4.26 p.m. there was a violent explosion in Queen Mary ; she was enveloped in clouds of gray smoke and disappeared. Eighteen of her officers and men were subsequently picked up by Laurel. At 4.38 p.m. Southampton reported the enemy's Battle Fleet ahead. The destroyers were recalled, and at 4.42 p.m. the enemy's Battle Fleet was sighted S.E. Course was altered 16 points in succession to starboard. and I proceeded on a northerly course to l ead them towards the Grand Fleet. The enemy battle cruisers altered course shortly afterwards, and the action continued. Southampton with the 2nd Light Cruiser Squadron held on to the southward to observe. They closed to within 13,000 yards of the enemy battle fleet and came under a very heavy but ineffective fire. Southampton's reports were most valuable. The 5th Battle Squadron were now closing on an opposite course and engaging the enemy battle cruisers with all guns. The position of the enemy Battle Fleet was communicated to them, and I ordered them to alter course 16 points. Led by Rear Admiral Hugh Evan-Thomas, M.V.O., in Barham, this squadron supported us brilliantly and effectively. At 4.57 p.m. the 5th Battle Squadron turned up astern of me and came under the fire of the leading ships of the enemy Battle Fleet. Fearless, with the destroyers of 1st Flotilla, joined the battle cruisers, and, when speed admitted, took station ahead. Champion, with 13th Flotilla, took station on the 5th Battle Squadron. At 5 p.m. the 1st and 3rd Light Cruiser Squadron, which had been following me on the southerly course, took station on my starboard bow; the 2nd Light Cruiser Squadron took station on my port quarter. The weather conditions now became unfavorable, our ships being silhouetted against a clear horizon to the westward, while the enemy were for the most part obscured by mist, only showing up clearly at intervals. These conditions prevailed until we had turned their van at about 6 p.m. Between 5 and 6 p.m. the action continued on a northerly course, the range being about 14,000 yards. During this time the enemy received very severe punishment, and undoubtedly one of their battle cruisers quitted the line in a considerably damaged condition. This came under my personal observation and was corroborated by Princess Royal and Tiger. Other enemy ships also showed signs of increasing injury. At 5.05 p.m. Onslow and Moresby who had been detached to assist Engadine with the seaplane, rejoined the battle cruiser squadrons and took station on the starboard (engaged) bow of Lion. At 5.10 p.m. Moresby, being 2 points before the beam of the leading enemy ship. fired a torpedo at the 3rd in their line. Eight minutes later she observed a hit with a torpedo on what was judged to be the 6th ship in the line. Moresby then passed between the lines to clear the range of smoke, and rejoined Champion. In corroboration of this, Fearless reports having seen an enemy heavy ship heavily on fire at about 5.10 p.m., and shortly afterwards a huge cloud of smoke and steam similar to that which accompanied the blowing up of Queen Mary and Indefatigable. At 5.35 p.m. our course was N.N.E. and the estimated position of the Grand Fleet was N. 16 W., 80 we gradually hauled to the northeastward keeping the range of the enemy at 14,000 yards. He was gradually hauling to the westward, receiving severe punishment at the head of his line, and probably acting on information received from his light cruisers which had sighted and were engaged with the Third Battle Cruiser Squadron. Possibly Zeppelins were present also. At 5.50 p.m. British cruisers were sighted on the port bow, and at 5.56 p.m. the leading battleships of the Grand Fleet bearing north 5 miles. I thereupon altered course to east and proceeded at utmost speed. This brought the range of the enemy down to 12,000 yards. I made a report to the Commander-in-Chief that the enemy battle cruiser bore southeast. At this time only three of the enemy battle cruisers were visible, closely followed by battle ships of the Konig class. At 6.25 p.m. I altered course to the E.S.E. in support of the Light Battle Cruiser Squadron, who were at this time only 8,000 yards from the enemy's leading ship. They were pouring a hot fire into her, and caused her to turn to the westward of south. At the same time, I made a visual report to the Commander-in-Chief of the bearing and distance of the enemy Battle Fleet. At 6.33 p.m. Invincible blew up. After the loss of the Invincible, the squadron was led by Inflexible until 6.50 p.m. By this time the battle cruisers were clear of our leading battle squadron, then bearing about N.N.W. 3 miles, and I ordered the Third Battle Cruiser Squadron to prolong the line astern and reduced to 18 knots. The visibility at this time was very indifferent, not more than 4 miles, and the enemy ships were temporarily lost sight of. From the report of Rear-Admiral T. D. W. Napier, M.V.O., the Third Light Cruiser Squadron, which had maintained its station on our starboard bow well ahead of the enemy, at 6.25 p.m. attacked with the torpedo. Falmouth and Yarmouth both fired torpedoes at the leading enemy battle cruiser, and it is believed that one torpedo hit, as a heavy under-water explosion was observed. The Third Light Cruiser Squadron then gallantly attacked the heavy ships with gunfire, with impunity to themselves, thereby demonstrating that the fighting efficiency of the enemy had been seriously impaired. Rear Admiral Napier deserves great credit for his determined and effective attack. Indomitable reports that about this time one of the Derfflinger class fell out of the enemy's line. Meanwhile, at 6 p.m. Canterbury had engaged enemy light cruisers which were firing heavily on the torpedo-boat destroyers Shark, Acasta and Christopher ; as a result of this engagement the Shark was sunk. At 6.16 p.m. Defense and Warrior were observed passing down between the British and German Battle Fleets under a very heavy fire. Defense was seen to blow up and Warrior passed to the rear disabled. It is probable that Sir Robert Arbuthnot, during his engagement with the enemy's light cruisers and in his desire to complete their destruction, was not aware of the approach of the enemy's heavy ships, owing to the mist, until he found himself in close proximity to the main fleet, and before he could withdraw his ships they were caught under a heavy fire and disabled. It is not known when Black Prince, of the same squadron, was sunk, but as a wireless signal was received from her between 8 and 9 p.m. reporting the position of a submarine, it is possible that her loss was the result of a torpedo attack. There is much strong evidence of the presence of a large number of enemy submarines in the vicinity of the scene of the action. At about 6.05 p.m. Onslow, being on the engaged bow of Lion, sighted an enemy light cruiser at a distance of 6,000 yards from us, apparently endeavoring to attack with torpedoes. Onslow at once closed and engaged her, firing 58 rounds at a range of from 4,000 to 2,000 yards, scoring a number of hits. Onslow then closed the enemy battle cruisers, and orders were given for all torpedoes to be fired. At this moment she was struck amidships by a heavy shell, with the result that only one torpedo was fired. Thinking that all his torpedoes had gone, the commanding officer proceeded to retire at slow speed. Being informed that he still had three torpedoes, he closed the light cruiser previously engaged and torpedoed her. The enemy's Battle Fleet was then sighted, and the remaining torpedoes were fired at them; having started correctly, they must have crossed the enemy's attack. Damage then caused Onslow to stop. Here I should like to bring to your notice the action of a destroyer (name unknown) which we passed close in a disabled condition soon after 6 p.m. She apparently was able to struggle ahead again; and made straight for the Derfflinger to attack her. The incident appeared so courageous that it seems desirable to investigate it further. Between 7 and 7.12 p.m. we hauled round gradually to S.W. by S. to regain touch with the enemy and at 7.14 p.m. again sighted them at a range of about 15,000 yards. The ships sighted at this time were two battle cruisers and two battleships, apparently of the Konig class. No doubt more continued the line to the northward, but that was all that could be seen. The visibility having improved considerably as the sun descended below the clouds, we re-engaged at 7.17 p.m. and increased speed to 22 knots. At 7.32 p.m. my course was S.W., speed 18 knots, the leading enemy battleship bearing N.W. by W. Again after a very short time the enemy showed signs of punishment, one ship being on fire while another appeared to drop right astern. The destroyers at the head of the enemy's line emitted volumes of gray smoke, covering their capital ships as with a pall, under cover of which they undoubtedly turned away, and at 7.45 p.m. we lost sight of them. At 7.58 p.m. I ordered the First and Third Light Cruiser Squadrons to sweep to the westward and locate the head of the enemy's line, and at 8.20 p.m. we altered course to west in support. We soon located two battle cruisers and battleships, and more heavily engaged at a short range of about 10,000 yards. The leading ship was hit repeatedly by Lion and turned away 8 points, emitting very high flames and with a heavy list to port. Princess Royal set fire to a three-funneled battleship; New Zealand and Indomitable report that the third ship, which they both engaged, hauled out of the line, heeling over and on fire. The mist which now came down enveloped them, and Falmouth reported they were last seen at 8.38 p.m. steaming to the westward, an explosion on board a ship of the Kaiser class being seen at 8.40 p.m. The Daily Mirror reports on the heavy losses the Royal Navy suffered when it engaged the German Fleet at the Battle of Jutland. British lose three battlecruisers, three cruisers and eight torpedo-boat destroyers. Two German dreadnoughts sunk - Foe battle cruiser blown up, another disabled and stopping and third seriously damaged. Enemy cruiser and six destroyers sunk - Our losses include Queen Mary, Indefatigable, Invincible, Defence and Black Prince, and Warrior abandoned. Press Bureau, Friday 7pm, The Secretary of the Admiralty makes the following announcement: On the afternoon of Wednesday, May 31, a naval engagement took place off the coast of Jutland. The British ships on which the brunt of the fighting fell were the battlecruiser fleet and some cruisers and light cruisers, supported by four fast battleships. Among these the losses were heavy. The German battle fleet, aided by a low visibility, avoided prolonged action with our main forces, and soon after these appeared on the scene the enemy returned to port, though not before receiving severe damage from our battleships. The battlecruisers Queen Mary, Indefatigable, Invincible and the cruisers Defence and Black Prince were sunk. The Warrior was disabled and, after being towed for some time, had to be abandoned by her crew. It is also known that the destroyers Tipperary, Turbulent, Fortune, Sparrowhawk and Ardent were lost, and six others are not yet accounted for. No British battleships or light cruisers were sunk. The enemy's losses were serious. At least one battle cruiser was destroyed and one severely damaged; one battleship reported sunk by our destroyers during a night attack; two light cruisers were disabled and probably sunk. The exact number of enemy destroyers disposed of during the action cannot be ascertained with any certainty, but it must have been large. Admiralty, 1.30am: Since the foregoing communiqué was issued a further report has been received from the Commander-in-Chief of the Grand Fleet stating that it is now ascertained that our total losses in destroyers amount to eight boats in all. The Commander-in-Chief also reports that it is now possible to form a closer estimate of the losses and damage sustained by the enemy fleet. One Dreadnought battleship of the Kaiser class was blown up in an attack by British destroyers, and another Dreadnought battleship of the Kaiser class is believed to have been sunk by gunfire. Of three German battle cruisers, two of which it is believed were the Derflinger and the Lutzow, one was blown up and another heavily engaged by our battle fleet and was seen to be disabled and stopping, and the third was observed to be seriously damaged. One German light cruiser and six German destroyers were sunk, and at least two more German light cruisers were seen to be disabled. Further, repeated hits were observed on three other German battleships that were engaged. Finally, a German submarine was rammed and sunk. The German Fleet was divided into two parts, of which one escaped southwards. The fate of the other fleet is not known. The Dutch steamer and two Danish schooners - Lauritz and Senita - were, while the fight was in progress, right in the midway of the opposing fleets. Amsterdam, Thursday: The tugboat Thames is expected at the Hook of Holland this afternoon with eight German sailors picked up in the North Sea yesterday. Two of them were wounded and one has died from his wounds on the way to port. Amsterdam, Friday: The following official account of the North Sea battle was issued in Berlin today. During an enterprise, directed towards the north, our High Sea Fleet on Wednesday last met a considerably superior main portion of the British Battle Fleet. In the course of the afternoon, between the Skagerack and the Horns' Reef, a number of severe, and for us, successful engagements developed and continued all night. In these engagements, as far as is at present ascertained, we destroyed the great battleship Warspite, the battlecruisers Queen Mary and Indefatigable, two armoured cruisers of the Achilles class, one small cruiser and the new destroyer leaders Turbulent, Restor and Alcaster. According to trustworthy evidence a great number of British battleships suffered heavy damage from the artillery of our vessels and the attacks of our torpedo-boat flotillas during the day battle and during the night. Among others, the great battleship Marlborough was hit by a torpedo, as is confirmed by the statements of prisoners. A portion of the crews of the British vessels that were sunk were picked up by our vessels. Among them are two sole survivors of the Indefatigable. On our side the small cruiser Wiesbaden was sunk by the enemy's artillery in the course of the day battle, and during the night the Pommern by a torpedo. Regarding the fate of the Frauenlob, which is missing, and some torpedo-boats, which have not returned up to the present, nothing is known. Amsterdam, Friday: The Director of the Naval Department (Rear Admiral Hebbinghaus) declared in the Reichstag that, according to the latest information, the whole of the German battle fleet, under the command of Vice Admiral Scheer, found itself on the afternoon of May 31 faced by the British Battle Fleet, including 34 big modern units. The battle lasted until 9pm, being followed by a series of reciprocal attacks during the night between cruisers and torpedo boats. 'The result of the fighting is a significant success for our forces against a much stronger adversary,' said the Rear Admiral, amid cheers. He went on to report on the British losses as already known and added that nine or ten destroyers were destroyed, six of them being accounted for by the battleship Westfalen. Amsterdam, Friday: At today's meeting of the Reichstag the President said: 'In the North Sea a big naval battle has taken place - the first collision between our naval forces and the pick of the English Fleet. Detailed messages are still lacking, but it may already be said that our young navy has gained a great and splendid success. Uit "I went down with my shiip at Jutland" van Hon. Barry Bingham VC. Bethell was standing beside me, and I turned to him with the question, "Now where shall we go?" His answer was only characteristic of that gallant spirit, "To Heaven, I trust, sir!" At that moment he turned aside to attend a mortally wounded signalman, and was seen no more amidst a cloud of fumes from a bursting shell. Uit "Ordeal by water, The terrors is survived when my destroyer sank" van H. Hammant aan boord van de Fortune. Then, to make things more awfull, men began to die from exhaustion. In this there was apparently nothing painfull for them - no struggling, no cry; it was just as though they went to sleep. When death came upon them they said never a word, made not a move ; only lay their heads back, closed their eyes, and went off as gently as if they had been falling asleep. De Duitse Paschen aan boord van de Lützow, welke hij later zou moeten verlaten vanwege de schade. The captain, who up till now had steadily steered the ship in the direction in which the fleet had last been seen gave in, to prevent the useless sacrifice of human life which would have occured if she had not been abandoned. Het is maar de vrfaag of Jutland inderdaad wel zo'n strategische overwinning is geweest. Gesuggereerd werd wel dat de Duitse marine daarna nimmer meer op zee durfde te verschijnen maar dat is feitelijk en aantoonbaar onjuist. Ook dient rekening te worden gehouden met het feit dat de Duitsers nimmer zelfs maar gedacht hebben aan het verslaan van de Britse Navy omdat ze daarvoor nummeriek niet over voldoende schepen beschikte. Het was ook hun strategie niet om de Britse vloot te verslaan. Ik denk dat het eerder een Duitse overwinning was, zeker als je kijkt naar de wederzijdse verliescijfers. Het was zeker nooit de bedoeling de Britse vloot te verslaan. Wel is het de Duitsers alleen al door de aanwezigheid van hun vloot gelukt de Britse vloot te binden aan de kust voor Duitsland terwijl de aanwezigheid van die Britse schepen elders dringend gewenst was. Waar elders was deze vloot dan gewenst? De meeste Duitse kolonieën waren al veroverd. En voor dat enkele Duitse slagschip dat nog elders rondvoer was geen hele grote vloot meer nodig. Bescherming van convooien bijvoorbeeld. Er zijn wel meer voorbeelden te bedenken. Die probeer ik te bedenken, maar ik kan er geen verzinnen. De bescherming van convooien elders zou dan tegen onderzeeboten zijn. Maar daar zijn slagschepen weer niet echt goed voor uitgerust. De meeste oppervlakteschepen van de Duitsers waren in 1916 vernietigd of speelden geen rol meer, dacht ik. Groot-Brittannië opereerde over de hele wereld. Om hun belangen te beschermen hadden ze een grote vloot nodig. Een deel was door de Duitse vloot elders niet inzetbaar. Ja, maar je kunt hem misschien ook omdraaien. Met een deel van hun vloot hield Groot-Brittanië de gehele Duitse Marine bezig? Dat kun je ook. En dat was het maximale dat voor Duitsland haalbaar was wat betreft oppervlakteschepen. Optimaal rendement dus. At 3.30 p. m. I increased speed to 25 knots and formed line of battle, the 2nd Battle Cruiser Squadron forming astern of the 1st Battle Cruiser Squadron, with destroyers of the 13th and 9th Flotillas taking station ahead. I turned to E.S.E., slightly converging on the enemy, who were not at a ran ge of 3,000 yards, and formed the ships on a line of bearing to clear the smoke. The 5th Battle Squadron, who had conformed to our movements, were now bearing N.N.W., 10,000 yards. The visibility at this time was good, the sun behind us, and the wind S.E. Being between the enemy and his base, our situation was both tactically and strategically good. Hadden we deze foto's al? "Nevertheless, there can be no doubt that even the most successful outcome of a further battle will not force England to make peace." Confidential report on the Battle of Jutland to the Kaiser, 4th July 1916. "The German Fleet has assaulted its jailor, but it is still in jail." "Our Fleet losses were, despite the luck that smiled on us, severe, and on 1st June 1916 it was clear to every knowledgeable person, that this battle must be, and would be, the only one"
December 1918, after the end of the war. "Will the flag-waving German people get any more of the copper, rubber and cotton their government so sorely needs? Not by a pound. Will meat and butter be cheaper in Berlin? Not by a pfennig (German penny). There is one test, and only one, of victory. Who held the field of battle at the end of the fight?" Four days after the Battle of Jutland. "The Grand Fleet, the Germans realised once the early excitement had died down, was simply unconquerable and control of the sea would remain in British hands. Consequently, the German hopes increasingly turned to 'unrestricted' submarine warfare as the decisive weapon, with the High Seas Fleet carrying out a supporting role." Jutland: The German Perspective (1995). "Should future operations take a favourable course, we should be able to inflict serious damage upon the enemy. Nevertheless, there can be no doubt that even the most successful outcome of a further battle will not force England to make peace.... A victorious end to the war within a reasonable time can only be achieved through the defeat of the British economic life - that is, by using the U-boats against British trade.... It is my duty to advise Your Majesty that in British waters, where American interests are strong, it will be impossible to avoid incidents, however conscientious our commanding officers may be.... "
De "eindoverwinnaar" heeft altijd gelijk aan zijn kant! De Britten verloren méér manschappen en schepen dan de Duitsers dacht ik ? Het Duitse vuur was accurater dan dat van de Engelsen? Ze hadden méér "Hits" dan de Engelsen! Op "punten" waren de Engelsen de verliezers, in deze slag? Dat zou moeten de vertaling van de Duiste versie van het verhaal moeten zijn ? Ik kocht het ooit omwille de invloed van de "Zeppelins" op die zeeslag eens na te gaan...want 191+6, volgens de Engelsen waren die o.a. verantwoordelijk voor hun zéér zware verliezen ! Uit de boeken achteraf blijkt dat die invloed van zo goed als generlei belang was! Zwaar OVERSCHAT! Maar toendertijd wisten de Engelsen dat nog niet ! Er lmoet een Engelse versie bestaan (vanuit Engels standpunt) en een Duiste (vanuit Duits standpunt) geschreven meen ik te weten! Beide vesies van de feiten zullen wel verschillen ? Dat valt wel mee, de Britten waren absoluut "not amused" met deze uitkomst, in ieder geval het grote publiek niet. Men verwachtte een tweede Trafalgar en dat was Jutland tactisch in ieder geval niet. Het heeft in Engeland tot een langdurige strijd geleid tussen de Jellicoe-fans en de Beatty-adepten. Het meeste van de literatuur gaat over "wat als" en er zijn maar weinig echt goede analyses. Die deutschen Hochseestreitkräfte waren vorgestoßen, um englische Flottenteile, die in letzter Zeit mehrfach an der norwegischen Südküste gemeldet worden waren, zur Schlacht zu stellen. Der Feind kam am 31. Mai 4 Uhr 30 Minuten nachmittags etwa 70 Seemeilen vor dem Skagerrak zunächst in Stärke von vier kleinen Kreuzern der "Calliope"-Klasse in Sicht. Unsere Kreuzer nahmen sofort die Verfolgung des Feindes auf, der mit höchster Fahrt nach Norden fortlief. Um 5 Uhr 20 Minuten sichteten unsere Kreuzer in westlicher Richtung zwei feindliche Kolonnen, die sich als sechs feindliche Schlachtkreuzer und eine größere Zahl kleiner Kreuzer und Zerstörer herausstellten. Der Feind entwickelte sich nach Süden. Unsere Kreuzer gingen bis auf etwa 13 Kilometer heran und eröffneten auf südlichen bis südöstlichen Kursen ein sehr wirkungsvolles Feuer auf den Feind. Im Verlauf dieses Kampfes wurden zwei englische Schlachtkreuzer und ein Zerstörer vernichtet. Nach halbstündigem Gefecht kamen nördlich des Feindes weitere schwere feindliche Streitkräfte in Sicht, die später als fünf Schiffe der "Queen Elizabeth"-Klasse ausgemacht worden sind. Bald darauf griff das deutsche Gros in den Kampf ein. Der Feind drehte sofort nach Norden ab. Die fünf Schiffe der "Queen Elizabeth"-Klasse hingen sich an die englischen Schlachtkreuzer an. Der Feind suchte sich mit höchster Fahrt und durch Abstaffeln unserem äußerst wirkungsvollen Feuer zu entziehen und dabei mit östlichem Kurs um unsere Spitze herumzuholen. Unsere Flotte folgte den Bewegungen des Feindes mit höchster Fahrt, während dieses Gefechtsabschnittes wurden ein Kreuzer der "Achilles"- oder "Shannon"-Klasse und zwei Zerstörer vernichtet. Das hinterste unserer Linienschiffsgeschwader konnte zu dieser Zeit wegen seiner rückwärtigen Stellung zum Feind noch nicht ins Gefecht eingreifen. Bald darauf erschienen von Norden her neue schwere feindliche Streitkräfte. (Es waren, wie bald festgestellt werden konnte, mehr als 20 feindliche Linienschiffe neuester Bauart. Da die Spitze unserer Linie zeitweilig in Feuer von beiden Seiten geriet, wurde die Linie auf Westkurs herumgeworfen. Gleichzeitig wurden die Torpedobootsflottillen zum Angriff gegen den Feind angesetzt. Sie haben mit hervorragendem Schneid und sichtlichem Erfolg bis zu dreimal hintereinander angegriffen. In diesem Gefechtsabschnitt wurde ein englisches Großkampfschiff vernichtet, während eine Reihe anderer schwere Beschädigungen erlitten haben muß. Die Tagschlacht gegen die englische Übermacht dauerte bis zur Dunkelheit. In ihr standen - abgesehen von zahlreichen leichten Streitkräften - zuletzt mindestens 25 englische Großkampfschiffe, 6 englische Schlachtkreuzer, mindestens 4 Panzerkreuzer gegen 16 deutsche Großkampfschiffe, 5 Schlachtkreuzer, 6 ältere Linienschiffe, keine Panzerkreuzer. Mit einsetzender Dunkelheit gingen unsere Flottillen zum Nachtangriff gegen den Gegner vor. Während der nun folgenden Nacht fanden Kreuzerkämpfe und zahlreiche Torpedobootsangriffe statt. Hierbei wurden ein Schlachtkreuzer, ein Kreuzer der "Achilles"- oder "Shannon"-Klasse, ein, wahrscheinlich aber zwei kleine feindliche Kreuzer und wenigstens 10 feindliche Zerstörer vernichtet, davon durch das Spitzenschiff unserer Hochseeflotte allein 6. Unter ihnen befanden sich die beiden ganz neuen Zerstörer-Führerschiffe "Turbulent" und "Tipperary". Ein Geschwader älterer englischer Linienschiffe, das von Süden her herbeigeeilt war, kam erst am Morgen des 1. Juni nach beendeter Schlacht heran und drehte, ohne einzugreifen oder auch nur in Sicht unseres Gros gekommen zu sein, wieder ab. Vier Seekadetten des Schiffes "Queen Mary" wurden gerettet, alle anderen Offiziere sind verloren. Der Kommandant des Schiffes "Invincible" und ein Leutnant wurden gerettet, alle anderen sind verloren. Alle Offiziere der Schiffe "Indefatigable", "Defence", "Black Prince" sind verloren. Alle Offiziere des Schiffes "Warrior" wurden gerettet. 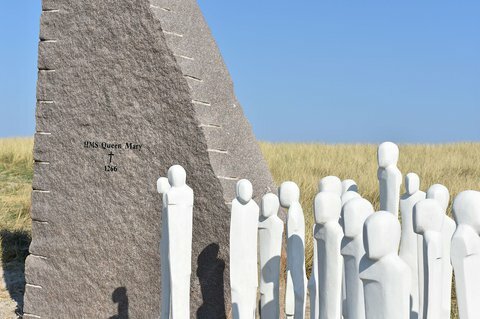 Waarom gebruiken de National Archives een Nederlandse kaart van Jutland? Engländer, die von der deutschen 5. Torpedobootsflottille während der Seeschlacht vor dem Skagerrak aufgefischt wurden, haben ausgesagt, daß der Schlachtkreuzer "Princeß Royal" schwere Schlagseite gehabt habe, als die "Queen Mary" im Gefecht mit der deutschen ersten Aufklärungsgruppe und fast gleichzeitig der kleine Kreuzer "Birmingham" sanken. Ferner seien an diesem Teile des Gefechts alle fünf Überdreadnoughts der "Queen-Elizabeth"-Klasse beteiligt gewesen. Andere englische Gefangene, welche von der deutschen 3. Torpedobootsflottille gerettet wurden, haben unabhängig voneinander und unter schriftlicher Bestätigung ausgesagt, daß sie das Sinken des "Warspite", des Schlachtkreuzers "Princeß Royal" und von "Turbulent", "Nestor" und "Alcaster" mit Sicherheit gesehen hätten. Von einem deutschen U-Boot ist 90 Seemeilen östlich der Tyne-Mündung nach der Seeschlacht vor dem Skagerrak ein Schiff der "Ironduke"-Klasse mit schwerer Schlagseite und mit sichtlich viel Wasser im Vorschiff mit Kurs auf die englische Küste gesichtet worden. Dem Unterseeboot gelang es wegen ungünstiger Stellung zu dem Schiff und wegen schwerer See nicht, zum Schuß zu kommen. Der englische Verlust an Menschenleben während der Seeschlacht vor dem Skagerrak wird auf über 7000 geschätzt. "Unser Ziel steht in Flammen"
Der Kaiser hatte ein Steckenpferd: seine Flotte. Jahrelang hatte er viel Geld in den Aufbau der deutschen Marine gesteckt. 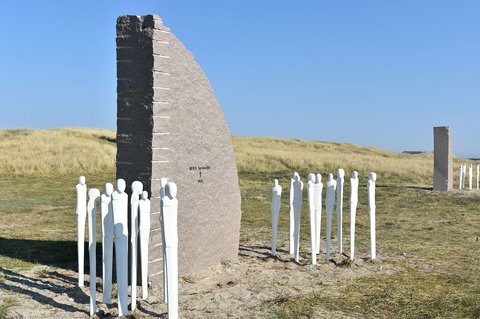 Als dann aber der Krieg ausbrach, blieben die Schiffe im Hafen - bis zu Skagerrak-Schlacht Ende Mai 1916. Unsere Zukunft liegt auf dem Wasser! Mit diesem Satz hatte Kaiser Wilhelm II. 1898 in der Rüstungspolitik die Segel gesetzt. Deutschland sollte mit einer massiven Aufrüstung zur See Weltmacht werden. Die Marine war das Steckenpferd des Kaisers; wochenlang segelte er mit auserlesenen Gästen an Bord seiner Privatjacht über die Weltmeere. Sogar ein Musikstück hatte er sich selbst zu diesem Vergnügen komponiert: Aegir. Warum tut die Marine nichts, des Kaisers liebstes Spielzeug? Weshalb wird sie nicht auch in Europa eingesetzt? Die Antwort auf all diese Fragen lautet: Der deutschen Marine sind Fesseln angelegt, unsichtbare Ketten. Die britische Flotte, die "Grand Fleet", beherrscht die Nord- und Ostsee. Jedem Schiff der kaiserlichen Marine, das sich aus den schützenden Häfen heraus wagt, droht der Untergang. Deshalb liegen die Schiffe Seiner Majestät untätig in der Heimat. Das will die deutsche Admiralität ändern. Die ruhmreiche deutsche Marine wird den feindlichen Geschwadern die Stirn bieten, sie vernichten und die Seehoheit Deutschlands herstellen! Mit diesem Ziel drängt die Admiralität zu einer Entscheidungsschlacht und befiehlt am 30. Mai 1916 dem auf der Reede vor Wilhelmshaven liegenden III. Geschwader das Auslaufen. Zu dem Geschwader gehört auch Seiner Majestät Schiff "Kaiser", auf dem der Artillerie-Mechaniker Fritz Gruber dient. Die "Kaiser" hat zehn großkalibrige Schnellfeuerkanonen und 22 kleinkalibrige Kanonen. Der Matrose Fritz Gruber versieht seinen Dienst im Geschützturm "Dora auf dem Achterdeck". 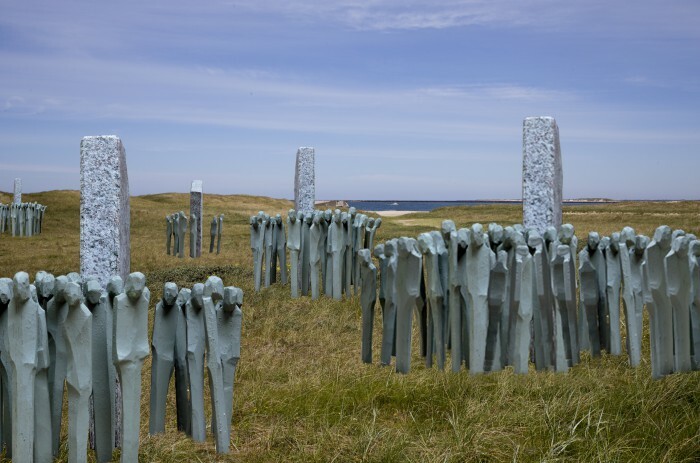 Seinem Tagebuch verdanken wir Einzelheiten über die einzige große Seeschlacht des Ersten Weltkrieges am Skagerrak, dem nordöstlichen Teil der Nordsee zwischen Jütland und Norwegen. Kurz nach 7 Uhr Abends wird der Anker gelichtet und das Geschwader fährt in Kiellinie hinaus. Das Wetter ist schlecht, es ist neblig und Regen kommt auf. Fast die gesamte Heimatflotte des Kaiserreichs bewegt sich an Helgoland vorbei zur dänischen Küste. (Wir) dachten, vielleicht ein paar Englische Kreuzer oben im Norden anzutreffen. Klar Schiff zum Gefecht, alle Mann antreten auf Gefechtsstationen! Nun stand ein jeder auf seinem Stand, auf der Stelle, wo man durch seine Tätigkeit mit zum Siege hilft, aber auch dem Tod fürs Vaterland unterlegen ist. So schreibt Fritz Gruber in seinen Tagebuch-Erinnerungen. Die Oberkommandierenden der beiden feindlichen Schiffsgeschwader glauben zunächst, mit der eigenen starken Übermacht auf nur schwache Kräfte des Gegners zu stoßen, die bald vernichtet werden könnten. Rasch erweist sich das als Irrtum. Die Deutschen schicken 16 Großkampfschiffe in die Schlacht, die Briten 24. 48 Stunden dauert das Gefecht, das sich zur größten Seeschlacht der Geschichte entwickelt. Dann das Kommando: Salve - feuern! Der Turm bebte unter dem Druck der abgefeuerten Geschosse. Einige Sekunden verstrichen, dann wurde wieder geladen. Die erste Salve ging zu weit, Entfernung 18.000 Meter. "Salve feuern!" Die Salve saß dicht am Kreuzer, dann kam die dritte. Durch unsere Schnelligkeit waren wir bis 16.000 Meter herangekommen. Die Salve krachte, gleich darauf kam die Meldung herunter: Unser Ziel steht in Flammen. Ein jeder auf unserem Schiff stieß wohl einen Freudenschrei aus. (…) Nach einigen Sekunden gab es einen Knall, wir hatten einen Treffer erhalten. Darauf trat dumpfe Stille ein. Der Ruhmestag der deutschen Flotte. In the 12 hours between 2.20pm on 31 May and 2.20am on 1 June 1916, the Royal Navy lost more than 100,000 tons of ships and almost 7,000 men to the guns of the German High Seas Fleet. Of these men, 4,200 – and 90,000 tons of ships – were lost due to explosions in their powder magazines. Within hours, three battlecruisers and one armoured cruiser had, without warning, quite literally disintegrated under German guns. One wag would comment that, at Jutland, the Royal Navy expended more propellant on itself than it did on the Germans. Admiral Sir David Beatty, who witnessed the debacle while himself leading a battlecruiser group, is reported to have said: 'There seems to be something wrong with our bloody ships today!' How right he was. Great disasters rarely have simple causes. In mature technologies, accidents almost always represent the sum of a number of individually innocuous defects, linked together in a (usually) improbable chain of circumstance. And thus it was at Jutland, where inadequate armour, a risky choice of propellant, poor stowage of that propellant and tactical mismanagement formed a chain that pulled thousands to their deaths. Clearly, the armour suite of each British battlecruiser was inadequate or the German shells wouldn't have penetrated in the first place. However, it wasn't that British armour was bad compared to German plate – the Germans just tended to use a lot more of it. In that regard, one must remember that the warship designer is always caught in a 'zero sum game' regarding speed, armour, armament and endurance – or, to put it another way, what one borrows from Peter must be used to pay Paul. This means, for example, that an increase in armament must necessarily reflect an equivalent decrease in one or more of the other three. The battlecruiser concept emphasised speed and armament at the cost of armour, resulting in a fast, thin-skinned ship with a heavy punch. But thin armour meant that hits from heavy shell could get you in very deep trouble – fast. The terms 'propellant' and 'powder' are often used interchangeably; both mean a substance that is used to eject a projectile from a barrel of a gun. Big guns require hundreds of pounds of propellant (or powder) per shot in order to hit – and hurt – an enemy that is often 10 or more miles away. The British used a propellant called cordite in their big guns. This is a 'double-base' propellant containing both nitrocellulose and nitroglycerine. The latter enhanced cordite's power – its 'punch per pound' – albeit at the cost of an increased propensity to explode if mistreated. The German propellant used at Jutland, known as 'RPC 12', was actually quite similar to cordite, but it typically contained a bit less nitroglycerine and a bit more stabiliser to decrease the chance of accidental detonation. The trade-off between stability and safety was a tricky one. The US Navy, feeling that nitroglycerine wasn't worth the candle, used a single-base (nitrocellulose only) propellant instead. Had the British done the same, their battlecruisers probably would not have exploded at all. But they would have carried fewer shells into action. Propellants must be confined to make them burn and rather heavily confined to make them explode. If ignition occurs in propellant while awaiting firing, a relatively slow 'Roman candle' burn – which might destroy a whole turret – is clearly preferable to an explosion, which usually destroys the entire ship. The former requires arrangements to vent the burning gases outboard before the pressures get high enough to cause an explosion. But effective venting is hard to arrange: the same vent that lets burning gases out can also let burning gases in. Both the British and the Germans stored powder in sealed containers, to prevent the evaporation of volatiles and to decrease the chances of a runaway explosion in case of fire. In British turrets, the powder was removed from the containers before it was moved to the gun. The desire to hit the enemy fast and often meant that there was always the temptation to unload too many containers too soon and to 'work around' some of the safety interlocks to increase the rate of fire. Eventually, of course, luck would run out. The battlecruiser represented an extension of the old 'armoured cruiser', tasked with scouting ahead of the fleet and running down and sinking smaller enemies. They were designed to outgun anything they could not outrun and outrun anything they could not outgun. They were definitely not designed to slug it out with battleships. The problem was that armour (or the lack of it) is largely invisible, making it easy to forget that, even though the battlecruisers looked like battleships, they really were not battleships. The last link in the Jutland chain revolved around Admiral Beatty's decision to keep the battlecruisers in the battle-line with ships of equivalent gun power. Had logic been his guide, Beatty, faced with guns of equivalent calibre, should have turned and run. But who would have done so? It's the ultimate irony that, although British battlecruisers may have been designed to run from superior enemies, British captains were not – and, overall, that was probably a pretty good thing. The losses at Jutland shook the Admiralty to the core. Careers rose and fell, arms waved and fingers pointed. Overall, the reactions were swift and perhaps excessive. With the exception of the Hood, the Royal Navy never built a battlecruiser again, and Hood 's armour was increased so much that it remained overweight throughout its career. Ships throughout the fleet were equipped with Heath Robinson-like anti-flash features that sometimes prevented the turrets from working at all. The tactical limitations of the battlecruiser type were recognised and priorities re-set. Cordite, however, stayed; tests in the 1920s revealed that German and British propellant ignitability was, in fact, about the same. Cordite itself wasn't the problem; it was how the cordite was stored. After the battle, both Jellicoe and Beatty tried to claim credit that was probably due to no one. Beatty's fans felt that he had had the battle won until Jellicoe had come along and lost it for him. Those in Jellicoe's camp felt that his battleships had, in fact, saved Beatty's skin. Jellicoe was replaced, and Beatty – promoted to first sea lord – refused to publish Harper's official history of the action, which criticised Beatty's tactics. As a result, the Narrative of the Battle of Jutland was not published until 1924, and then without official sanction. Bill Jurens is an active member of the Marine Forensics Panel (SD-7) of the Society of Naval Architects and Marine Engineers, and a silver member of the US Naval Institute. He is also on the staff of the INRO (International Naval Research Organization), where he has long been an associate editor of their quarterly journal Warship International. He participated in the Channel 4 expeditions to find the Hood and Bismarck and to locate the wrecks of the battle of Jutland, and in James Cameron's Expedition Bismarck. He lives in Winnipeg, Canada, where he teaches engineering graphics at a local technical college. FIFTEEN-YEAR-OLD Edgar Ellis ran away to sea – then remained at his post despite being wounded during the greatest naval battle of the First World War. On the very first day he was assigned to serve as a signaller on the battleship, HMS Ajax, Edgar found himself on deck, facing the might of the German navy. The Battle of Jutland was about to start. Edgar's son, Major John Ellis, said: "His mother, Annie Ellis, had died at Christmas, 1914, when he was just 13-years old. He was born on December 29, 1900. "Obviously he was very upset. For some reason he hung around at school for another year, then he decided he wanted to join the navy. "Grave of the 'boy hero' of Battle of Jutland given new protected status to mark centenary. Memorial to John Cornwell, aged 16 when he died after HMS Chester came under fire during naval battle, given grade II listing"
8,648 lives lost May 31/June 1. Lest we forget. An Old Weather blog on reconstructing the weather during the Battle of Jutland. Midnight: Observed heavy firing on starboard beam & quarter at intervals from 12 to 2am. Het magazine 'Forces War Records' over de Slag bij Jutland. Heb nu lekker wat te lezen op deze regenachtige zondag. In mid-1916, the war’s major sea battle was fought, the Battle of Jutland. The Admiralty was highly conscious of the advantages of air support for the fleet. Two ships—more seaplane tenders than aircraft carriers—were to sail into battle with the Grand Fleet and its accompanying Battle Cruiser Squadron. Earlier in the year, the former 20,000-ton Cunard liner Campania was converted by the British to carry seaplanes and was assigned to Adm. Jellicoe’s Grand Fleet. May approached and nearly ended before the German High Seas Fleet, now under Adm. Reinhard Scheer, made a definite move to encounter the Royal Navy. Jellicoe was ready. Advised in advance that a squadron of German battle-cruisers had been ordered to Norwegian shores for a show of force, he ordered Adm. Sir David Beatty, leading a similar but larger British squadron, to intercept. HMS Engadine, operating with Beatty’s squadron, launched a seaplane for reconnaissance at 15:30 on the 31st. The pilot reported three enemy cruisers and ten destroyers taking a northwesterly course. Fifteen minutes later, the German ships changed course to the south. The pilot tried to flash this signaI by searchlight, but his message was not received. One of the ships of the squadron noted the alteration, however, and the ships shifted in time. Thereafter, poor visibility and rough water kept Beatty’s plane on deck. The two squadrons clashed and, even though outnumbered, the German ships under Adm. Franz von Hipper, sank two of Beatty’s vessels. Scheer’s High Seas Fleet crested the horizon, and Beatty led his remaining ships on a strategic retreat, north toward Jellicoe. On the day before, Campania had conducted a series of successful gun-spotting training flights, returned to her Scapa Flow anchorage about five miles from the main fleet, and awaited orders.